Image license CC0 via Pexels. 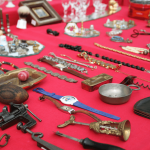 For some people, haggling is one of the key selling points for visitors to flea markets. Not all merchants are so inclined to negotiate with customers when it comes to pricing though. Inevitably, a flea market merchant will have to deal with haggling customers though – it’s nearly unavoidable. Still, each situation will necessitate a different response, so a vendor should deal with hagglers on a case by case basis. 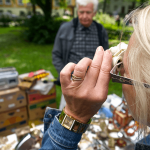 Haggling is deeply ingrained in the idea of a flea market. Of course, these markets are a gathering of mostly individual sellers trying to make some extra money and a few business owners. That leaves a lot of room open for buyers that want cheap items and sellers that are occasionally forced to sell at a lower price than they would like to. Haggling can aggravate sellers, but they aren’t always in a position to send hagglers away from their items. So then, how should a seller deal with a haggler? A customer that negotiates doesn’t always have to be a pest or a nuisance. In fact, some customers may try to get a discount on items but will give up if a seller brings up valid arguments against lower prices. Therefore, a merchant’s first line of defense against hagglers are valuable items that have very few defects and are priced well. Haggling is much less likely when a vendor sets fair prices for good items. Still, negotiators and deal searches can’t always be deterred by fair prices – they will sometime seek advantageous prices. Sellers should always consider a potential customer’s lower offers but should not shortchange themselves. For vendors that don’t want to deal with hagglers, there are a few courses of action to take. The best one is to simply put up a sign or tell customers outright that prices are non-negotiable. Right away, that will deter some buyers. For vendors that are up to dealing with haggling customers, they too have some options. Negotiating with these types of buyers can be difficult, especially if they are adamant about getting an item for a low, low price. Merchants should start off by presenting their case against a discounted price. Of course, plenty of things can work in the sellers favor here, including the condition of the item, its real value, and how useful it is. This technique works especially well with unique items. One of the best things a flea market vendor can do to deal with hagglers is to inflate the prices on their items beforehand. For example, a vendor might have a television that they want to sell for $100. The seller marks the television with a price tag of $125 and starts dealing with customers. During negotiations, a potential buyer will be far more likely to buy the item if $25 is dropped. That way a seller ends up with the price they originally wanted. Inflated prices work most of the time, but a seller can’t inflate prices by huge amounts or buyers won’t even talk about a purchase. Other than these techniques, a vendor should just deal with hagglers as they see fit. A merchant should agree to negotiate with items that really might be worth less than the stated price. Nevertheless, vendors should not feel guilty about charging a person a certain price for an item they want because that will result in a lot of low sales. No flea market seller wants to end up with little money after a hard day of selling. Sadly, too much haggling with customers can result in that exact occurrence. 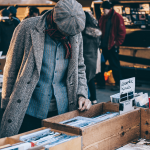 Navigating the world of flea markets can be difficult for vendors, especially when it comes to haggling and negotiating. Sure, some potential buyers love to haggle to get a really low price on an item, but a vendor shouldn’t be tricked into practically giving away their items at steal prices. A vendor should be able to sell most of their items for a good and reasonable profit so that they end up in the black at the end of each sale day. 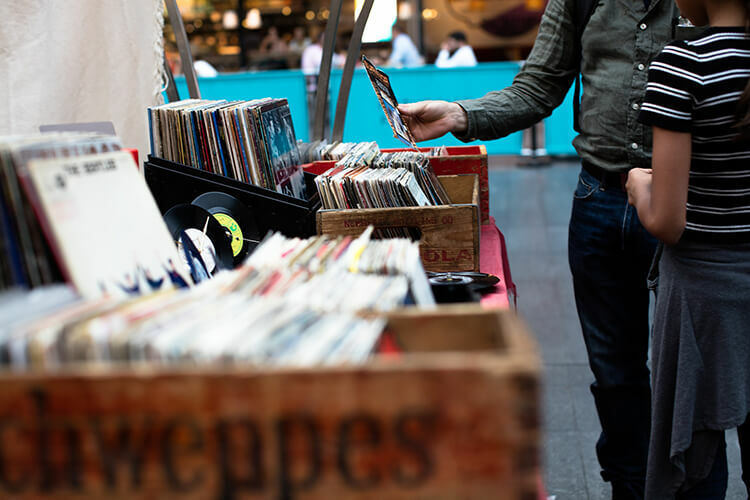 Flea markets are designed to be an informal place to buy things and get discounts, but that doesn’t mean vendors shouldn’t focus on their bottom line: the profit. This content is licensed under CC BY 4.0. If you use this content please attribute Robert Taylor via https://alterables.com/author/rtaylor/ as a contributor of your adapted content.